HAPPY HALLOWEEN! This months LootCrate rocked my socks off! An Exclusive Dr. Emmett brown Vinyl Figure: GREAT SCOTT! How flippin’ amazing is this guy!!!! 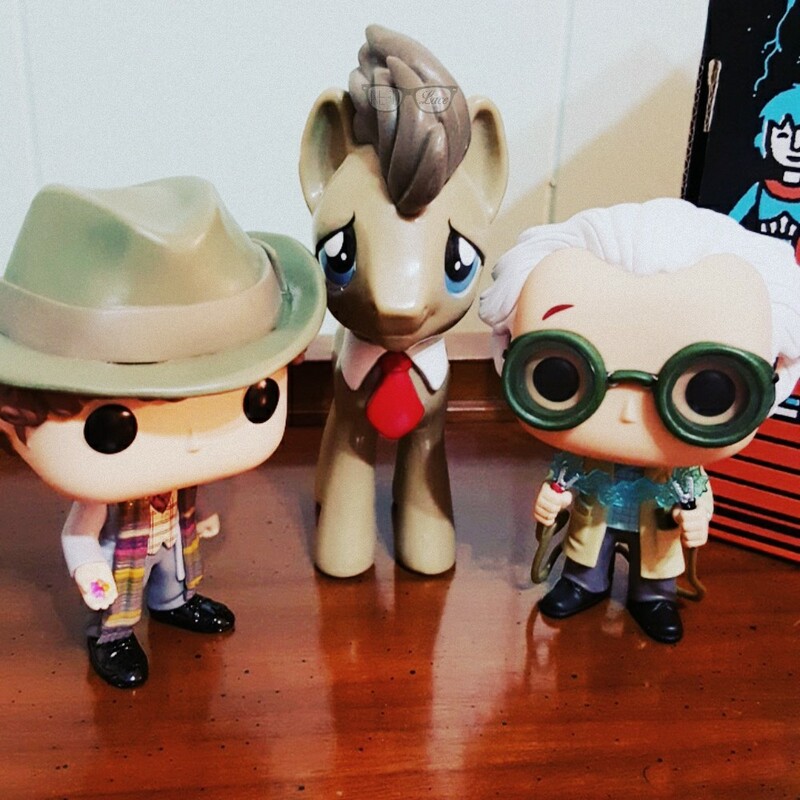 He’s hanging out with the Fourth Doctor and Doctor Hooves right now. 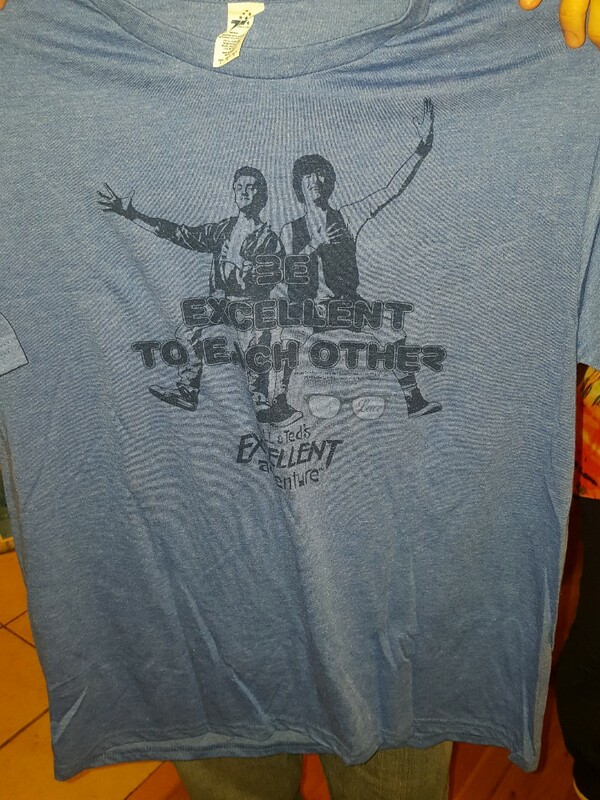 Bill & Ted’s Excellent Adventure T-shirt: Dude!!! This shirt is bananas! The material is so soft and I hate that I couldn’t wear it because all this sexiness couldn’t be contained it. Sad panda face, but no worries it is being rocked out by my spawn. Back to the Future Part II Hoverboard replica: I almost don’t want to take this out of the box because it’s so awesome. It’s just a shame it’s not big enough for me to hoover on. Maybe Doc Brown can take it for a spin. A stationary spin. Doctor Who Spork: I actually teared up when I opened this thing. Not only is it the most amazing weapon in the history of weapons it is also a spork the most useful utensil in the history of utensils! It’s safe to say that this has been my favorite crate since I joined LootCrate. I will treasure everything for forever.